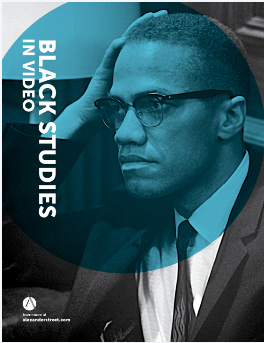 Black Studies in Video is an award-winning black studies portfolio that brings together seminal documentaries, powerful interviews, and previously unavailable archival footage surveying the black experience. 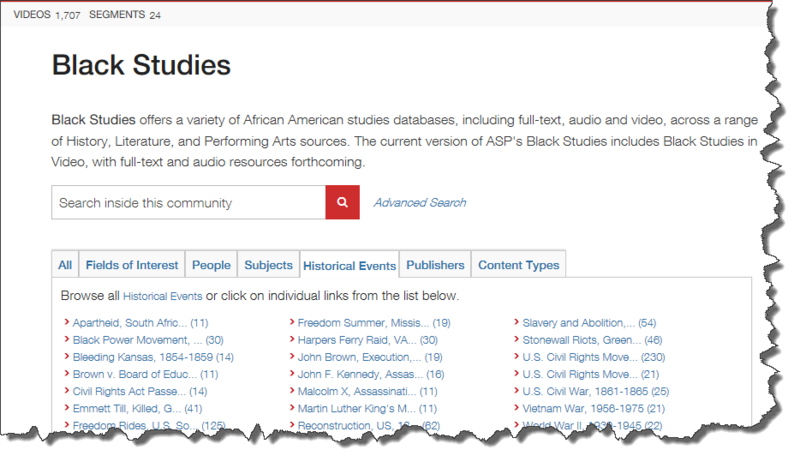 The collection contains 500 hours of film covering African American history, politics, art and culture, family structure, gender relationships, and social and economic issues. 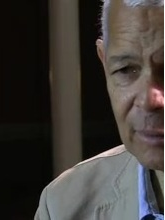 Exclusively from Alexander Street, Black Studies in Video features the SNCC Legacy Video Collection, a series of over fifty hours of formal addresses, panel discussions, and programs that took place at the 50th anniversary conference and reunion commemorating the founding of the Student Nonviolent Coordinating Committee. 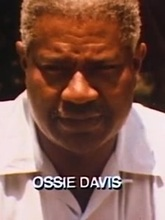 The collection includes documentaries on leading artists, writers, musicians, playwrights, and performers, such as Toni Morrison, Langston Hughes, Huey P. Newton, Frantz Fanon, Zora Neale Hurston, Richard Wright, Eldridge Cleaver, August Wilson, Bobby Seale, Ethel Waters, Amiri Baraka, and Robert F. Williams.